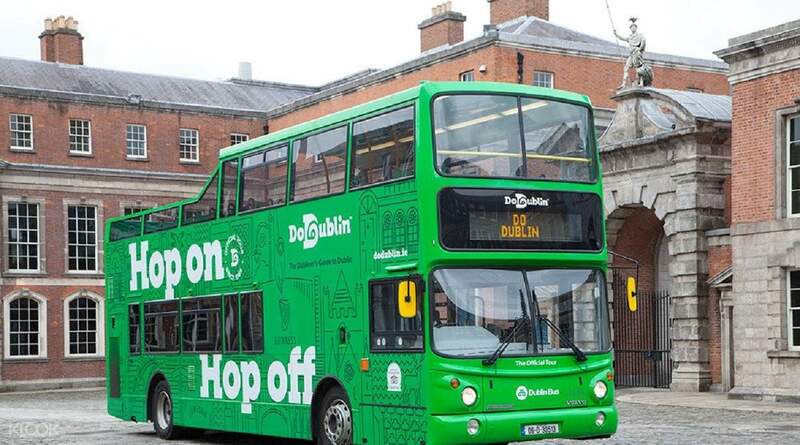 Get to board the famous DoDublin Hop On/Hop Off Tour Bus in Dublin, which has been active since 1988! 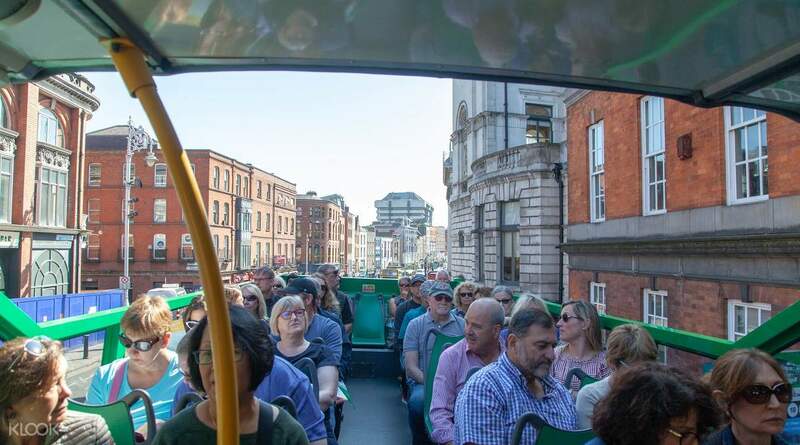 There's no better way to explore the wonderful city of Dublin than to board the famous DoDublin Hop On/Hop Off Tour Bus, which has been around since 1988 and still going strong! The Tour Bus will take you around the entire city and stop by its numerous tourist attractions. On each bus, you'll have either live English-speaking and Fáilte Ireland-trained guides, who will regale you with their stories and commentary on Dublin and the attractions that you'll see, or a multilingual audio guide. The best part about this tour is that there's no set itinerary for you to follow; you get to make your own itinerary and routes by using the city map, which will be provided to you, for reference! 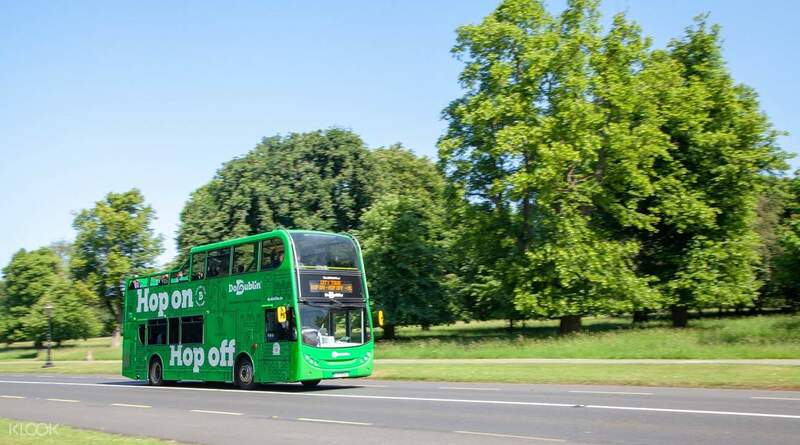 The DoDublin Hop On/Hop off Tour Bus was designed to be flexible to your preferences and pace of exploration; you can hop on and off the bus and change routes as much as you want, anytime, anywhere, for the duration of the Tour Buses' operating hours and your package. As additions to the package, you'll be given the following: 1) a complimentary entrance to The Little Museum of Dublin, where you can learn everything you need to know about its history; 2) a free walking tour with the famous Pat Liddy, a Dublin historian who will take you to the city's hidden gems only reachable by foot. This is definitely a must if you want to get a good taste of Dublin at a steady pace, and for an affordable rate to boot. Board the famous DoDublin Hop On/Hop Off Tour Bus in Dublin, which has been active since 1988! Stop 31 Jameson Distillery Bow St.
Superbs and the route covering almost all points of attraction of Dublin. The driver is friendly and helpful. Highly recommended. Superbs and the route covering almost all points of attraction of Dublin. The driver is friendly and helpful. Highly recommended. Easy to find the counter and easy to redeem. I wish the bus ran at night though. We got to O' Connell Street at past 5pm and they told us that the last trip ends at 5pm. Easy to find the counter and easy to redeem. I wish the bus ran at night though. We got to O' Connell Street at past 5pm and they told us that the last trip ends at 5pm. Bus tours cancelled on 23 Dec and no refund given so not happy. Bus tours cancelled on 23 Dec and no refund given so not happy.